Dis is me, dis the very first day mum ever saw me and she had been waitin a very long time. 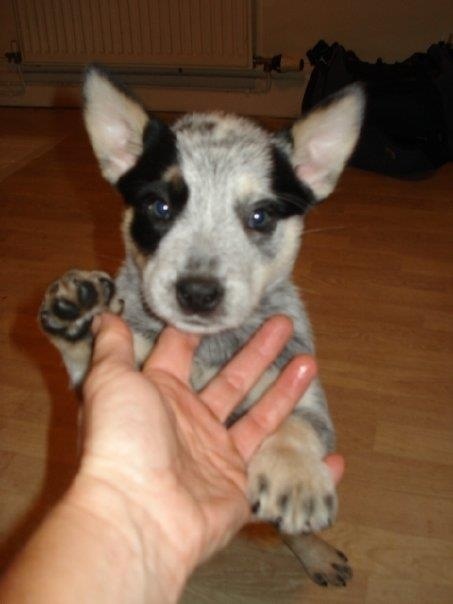 My name is deezul, I am a Ostralian cattle dog and was born in Cornwall. I came up wiv 3 uva sisters but they went to ostrayla and merica. I went home in a pickup truck to Cheshire to lib with my mum.